Cathy Anderson was born in Japan but grew up in California where she attended the University of Berkeley, majoring in Philosophy. She also obtained a double associate degree in Science and Business from Solano College. In 1980, Cathy moved to Australia and married. She eventually settled in Queensland after spending several years in Melbourne, Adelaide, Darwin and outback New South Wales. Through her husband’s involvement with Australian Rodeo, Cathy began working with a silversmith, making silver jewelry and trophy buckles for the professional Rodeo Associations and other major horse events. 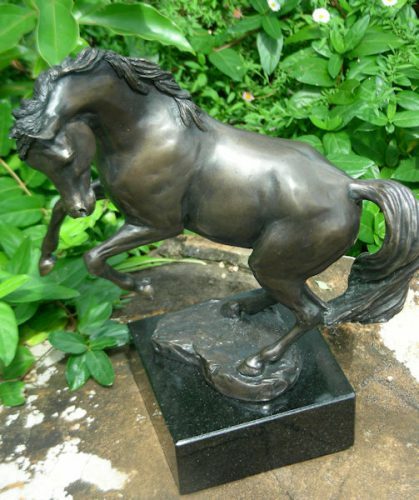 Fascinated by the grace and power of horses, Cathy began her career as a bronze sculptor. 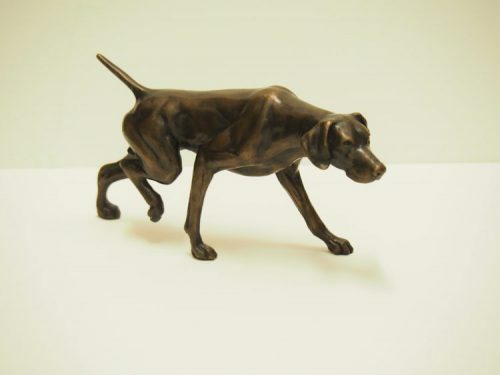 Her first piece, depicting a saddle bronc rider, was for the Australian Rough Riders Association. A notorious perfectionist, Cathy interviewed champion bronc riders and even rode a practice bucking machine herself to obtain better understanding of the movement. 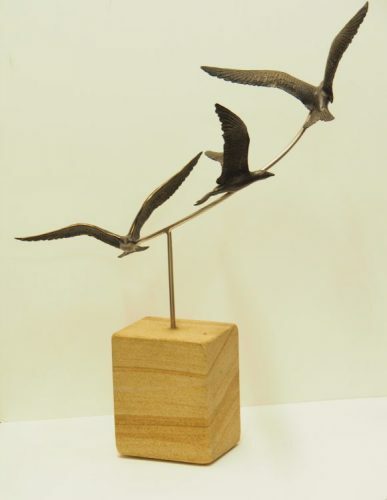 Cathy has had a number of exhibitions and won many awards including the Australia Day Cultural Award in 2004. 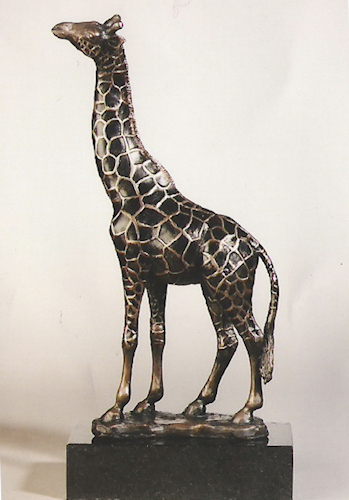 Her sculptures of “The Arab” and “The Giraffe” were both chosen as finalists in the Lexus Mortimore Art Prize in 2007.